If you have an event coming up, or there is something that you want to tell the whole village about, just email me (webmaster@greatchishill.org.uk) with the details and I'll put it on the site. Pictures make a big difference to a web site, so why not send some in? Over 60 people came and enjoyed a selection of 12 cocktails, naughty but nice nibbles and beautiful singing from Maggie Mather-Hill and Lindsay Crawley on her saxophone. The URC Schoolroom lent itself perfectly to becoming a cosy cocktail bar and we opened the doors into the chapel where one was able to relax, listen and chat amongst friends. We are always thrilled when we have friends and friends of friends from other parishes and villages further afield who come and enjoy one of our events. We are delighted to have raised in excess of £1000 in aid of St Swithuns kitchen fund. It is always a great pleasure to host these events when we received such encouraging comments and we can't thank those who come, for their immense enthusiasm, amazing generosity and continued loyal support. 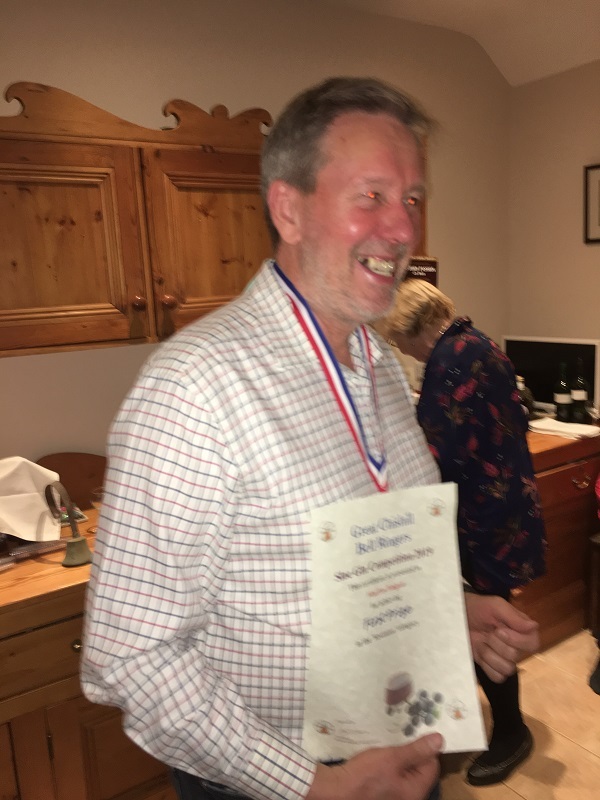 The Annual Sloe Gin Competition took place on 21st February. There was a staggering 55 entries which presented quite a challenge for the 3 anonymous judges. (They may have been the ones staggering at the end of the judging!). The tasting party, kindly hosted by the Wisemans at Stackyard Cottage, was, as usual a huge success and an opportunity to taste any (or all!) of the entries. The event raised a total of £370 towards the bell fund. Huge thanks to Peter & Jean, the judges and everyone who participated or helped. 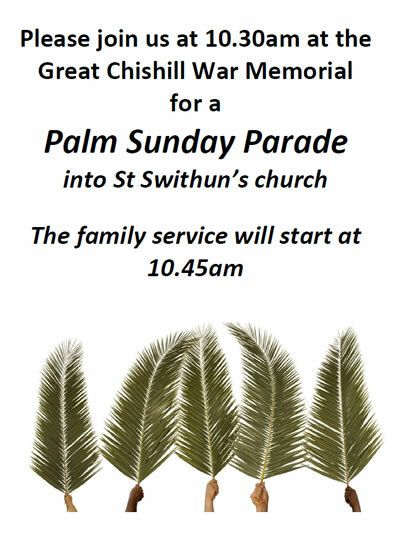 Find out more about the bells and bellringing in Great Chishill. Repair of the tail structure was deemed essential on two counts: anyone wishing to enter the mill has to pass beneath the fantail, so loose, decaying timbers and ironwork were unacceptable and, for the long-term safety of the mill, turning to wind to minimise stress on the structure is necessary. Bill Griffiths, our millwright, is currently working on the tail carriage at his workshop and committee members are stripping and repainting wood and metal parts of the fantail with the enthusiastic help of Chris Bates. Committee member, Tony Andrews, is well advanced in laying a circular track for the carriage to roll round so we are looking good for a Spring finish to the work. With respect to the finances beyond the HE grant, the Parish Council has been most generous in offering to undertake repairs to the access stairway and the fitting of safety handrails - another essential for visitor access. 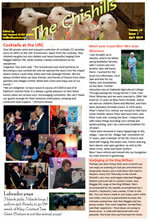 Furthermore we have had a successful year with novel fundraising ideas. Sales of apple juice, tea towels, etc. and the raffle for our ‘windmill clock’, made and donated by David Brearley (nephew of Trust founder Jim Brearley), at the Craft Fair before Christmas raised over £500. Together with half of the proceeds of the Fair itself, generously donated by organiser, Lindsey Crawley, we made over £800 contribution to the fund. 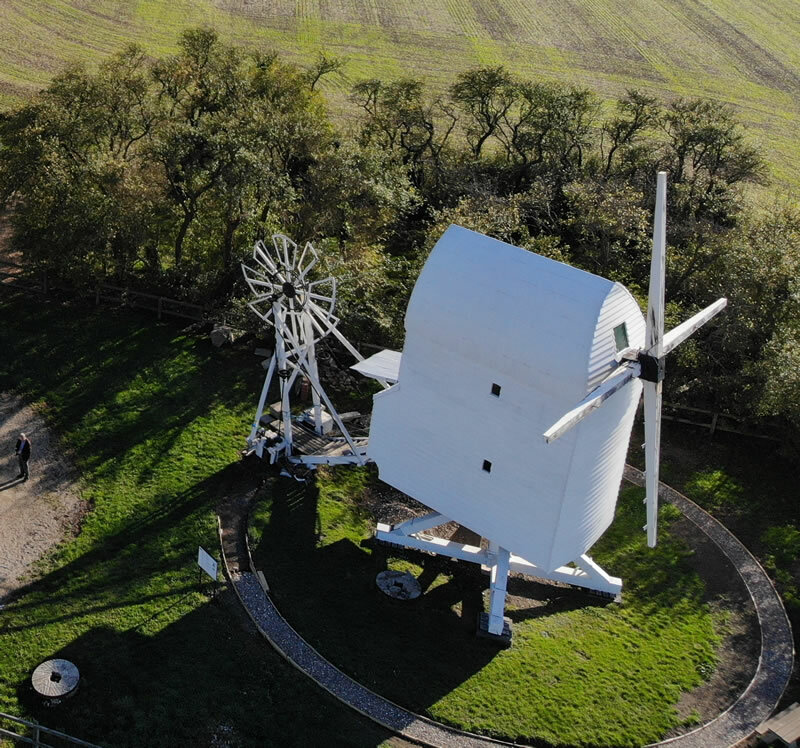 This, together with contributions from the Pink Wellies metal dectorists and the kind supporters who are making donations following our standing order appeal, provides a good start to our target of a sustainable income stream that will see our iconic windmill safe for the foreseeable future. The big news for 2019 is that we are having an Opening Day on SATURDAY 8 JUNE. Yes, the first and most critical phase of restoration will be complete and we are opening the mill for all to see. Details of the event will be announced in The Chishills nearer to the date but we have booked the village hall for presentations, chats and tea and will have displays in and around the windmill itself. Please KEEP THE DATE! 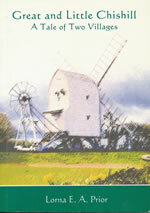 More about the history of the windmill. Please visit our website greatchishillwindmill.com to see our progress. Saffron Screen is your not-for-profit independent community cinema based within Saffron Walden County High School. The professional auditorium boasts a full size screen, 200 cinema seats, Dolby Digital surround sound and both 35mm and digital projection equipment. Ticket and refreshment prices are kept low to benefit all and parking is free. B Baby friendly - Bring your baby (under 12 months) for a trip to the cinema without worrying about babysitters. There will be changing mats and a comfortable environment for new parents – and a certain amount of noise can be expected! Saffron Hall is an exciting venture set up in the grounds of Saffron Walden County High School. The vision is to inspire through music and the arts. The impressive programme includes performances by the school's own ensembles and a host of well known British artists with international reputations. Exceptional adjustable acoustics. Ample FREE parking. The Royston Picture Palace is a community cinema run by the people of Royston and surrounding villages. Although staffed by volunteers, the audience will experience state-of-the-art digital projection onto a 7m screen supported by a 17 speaker digital sound system. The cinema is located in Royston Town Hall, which has undergone a complete refurbishment in preparation for its new role in the community. Currently films are shown on Fridays and Saturdays. Not sure what you can recycle? Click here to see the SCDC quick guide. or, if you want to go further afield, Walking in Essex More than 50 FREE walks to download, details of all the books, maps and walking groups in the county. Just to let you know that I will be hosting a Music Night on 27th April at Great Chishill Village Hall for the breast cancer charity Walk the Walk. For those who have been before the format is the same as previous years. Three acts starting at 7pm with Kirsten and Gary, followed by Mr Coverman, Darren Stammers with the wonderful Allergy taking us through to midnight. A licensed bar will be selling red, white and sparkling wines. Beer, lager and soft drinks will also be available. Tickets are available now and are £12.50. These need to be purchased in advance as we are limited on how many we can fit into the village hall. Thank you for your continued support for my fundraising for this amazing charity and I hope to see you, old and new, on the night. Heydon Grange Golf and Country Club are holding a Mixed Open Golf Day on Thursday 4th July in aid of the East Anglian Air Ambulance. There will be coffee and bacon roll on arrival, a rolling buffet, halfway house and on course prizes and raffle. Following the theft of the Post Box in Heydon Road on 27th October 2018, Royal Mail put a new one in on 22nd March 2019, after a wait of 5 months. In response to a complaint to Royal Mail made on 23rd January, they replied 'We’re currently investigating the matter. These investigations may involve contacting other departments – to get the answers we need and assurance that action is being taken to put this right. Then in mid March they said 'I can confirm that, after making enquiries with the Collection Planning Manager, we believe the above-mentioned area does warrant the re-installation of a new post-box. As a result, we're liaising with the Highway Authority to obtain clearance for the proposed site, as well as contacting the utility companies to ensure that the proposed site doesn’t interfere with existing pipes or cables, etc. This process can take a number of weeks to complete but we’re hopeful that we'll be able to install the post box within the next twelve weeks.!!! The old Post Box had been in the same location for at least the last 50 years. If you have trouble downloading or viewing the newsletter it may be because you do not have the latest version of Adobe Reader. It is possible to have a look at the Village Hall diary online. Simply click on the picture of the calendar to see it. (the diary will open in its own window). Please treat this calendar as a guide only as some events may be provisional. If you would like to make a booking, please telephone Janet Crouch on 838301. Great Chishill Village Hall Sunday 5th May, 10am to 4pm Entry Fee £1. Call Karen Delamain on 01223 894292 or 07803052918 or email karen@ruralmagpie.co.uk for more info. Saturday 8th June 2019 Details to follow. There is now a Freephone number for all the practices in the group, including Barley. 0300 234 5555 The individual surgery numbers will continue to work for the next few months. Click here to see the latest (March 2019) surgery newsletter, which includes shocking statistics about the number of people who fail to attend their appointments! 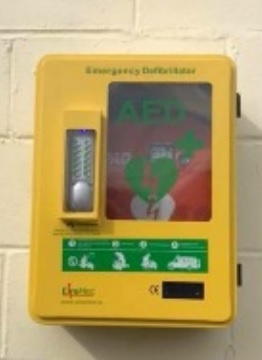 An Automatic Electronic Defibrillator (AED) has been installed on the wall of the sports pavilion facing the car park. In the event of a cardiac arrest, upon calling 999 the caller is given the location of the nearest AED and the code to unlock it. The device gives easy to follow verbal instructions, is safe to use, and will only operate if it is appropriate. There has been a ‘Congregational chapel’ on the site of the present United Reformed Church for over 400 years and we are very much planning for the future. Great Chishill 'URC' has been going through a season of change with the Minister moving on to pastures new. At the present time there is a Membership of three, but there is optimism about increasing this number. The congregation has been growing in recent years, notably increasing the average service attendance. This has been while trialing different forms and times of services supported by guest preachers. 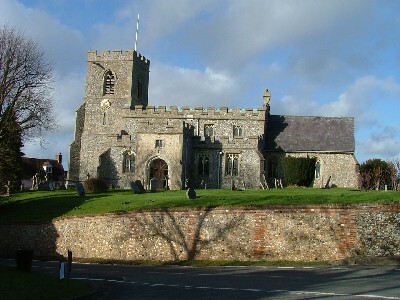 There is an evening service once a month which has proved to be very popular. For‘special’ services at Christmas, Easter, Advent and Remembrance between forty and one hundred people have been welcomed into the chapel. 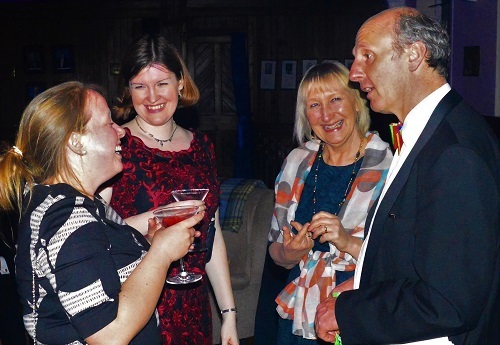 The chapel fellowship has become an increasingly important part of village life with a variety of events encouraging people to come together – films, Scottish dancing, concerts, silver surfers’ internet café, whist drives and hosting parties for all ages. On a Sunday you are guaranteed a warm welcome, with services held on the first and third Sundays of the month. Whether a morning or evening service the duration will be around 45 minutes with a time of friendship and fellowship afterwards in the schoolroom (usually with splendid refreshments). The present pattern of services is for a 5.45 evening service on the first Sunday of the month and for a 9.30 morning service on the third Sunday of the month. 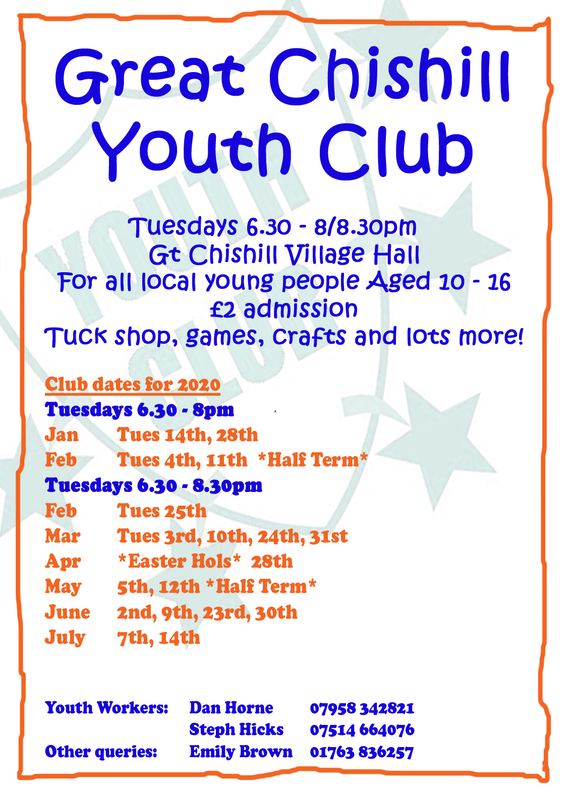 Messy Church is held in Great Chishill village hall from 3-4.30pm on the 4th Sunday of most months. To find out about the history of our villages read an extract from 'A tale of two villages' by the late Lorna Prior together with the Doomsday Book entry.